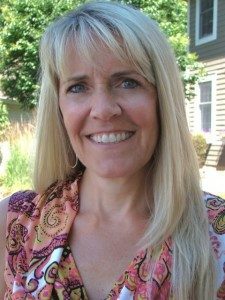 Sandra Warfield of The Warfield Group at RE/MAX Advantage Plus knows firsthand how sunken or heaved concrete can impact Minnesota home sales. Whether she represents a property seller or a buyer she routinely advises her clients to address concrete problems. “I suggest that sellers proactively fix sunken concrete before it is listed on the inspection report because the buyers will likely ask them to fix it anyway,” the Realtor said. Settled or tipped concrete can direct rainwater and snow melt toward the house and lead to wet basements, erosion and mice infestation. And if a guest (or prospective buyer) trips on an uneven walk or patio, the homeowner can be held liable for injuries. Slabjacking (mudjacking) a sunken concrete slab is an inexpensive and permanent fix that usually can be completed in a couple of hours. Done right, the only hint that there was a problem are the filled 1-in.-diameter holes used to pump the limestone slurry under the slab. And they blend with surrounding concrete over time. “Remodeling your kitchen is a great way to make your house more appealing to homebuyers, but it takes months and it’s a big investment. By comparison, mudjacking a tipped walk or garage floor is an affordable one-day fix that eliminates problems that could otherwise put people off buying your house,” Sandra said. “If you can spend a little money and make a notable, lasting improvement to a home, don’t put it off, “ she suggests. Warfield also encourages homeowners who are getting new driveways to consider concrete. 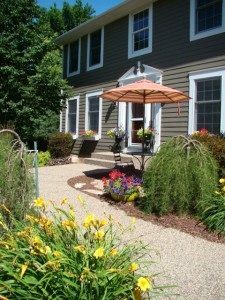 “Concrete driveways are viewed as an upgrade from asphalt. 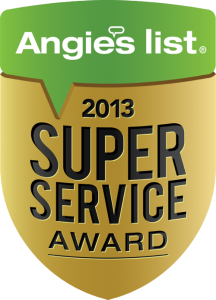 Even just a concrete apron by the garage door is considered a nice addition when you sell your home,” she observed. 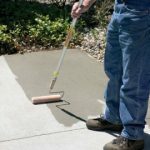 While ‘designer’ concrete that is stamped and colored holds the highest curb appeal, even plain concrete adds value as long as it is in good shape and clean. Contact Metro Concrete Raising Inc. for concrete raising, pressure-washing and sealing and for new concrete driveways, patios, walks, garage floors, stoops and stairs.